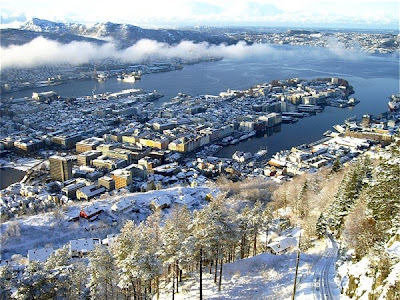 (Source: Dagbladet, March 2nd 2010) If you want to visit Norway, and need cheap accommodation, avoid Bergen. The capital city of Western Norway is on top of the list of expensive Scandinavian cities if you need a bed for the night. Hotels.com has checked average price of hotel rooms for a number of cities in Norway, Sweden, Denmark and Finland. Surprisingly three cities along the scenic western coast of Norway are among the most expensive to stay in. Bergen, Ålesund, and Stavanger are ranking over all capital cities on average price for a hotel room. If you consider visiting one of the four capital cities and are looking for reasonable hotels, Helsinki is definitely the place to go. The average price is around NOK 200 lower (25 EUR) than in Copenhagen in Denmark, followed by Oslo and Stockholm. 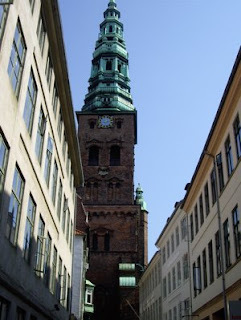 That Copenhagen is the most expensive of the Scandinavian cities is absolutely no surprise. I've checked hotels in the Danish capital several times, and found that even a room in a tourist class hotel stretch your bank balance. Last time I stayed in Copenhagen, I ended up at Hotel Sct. Thomas in the neighbouring borough of Frederiksberg. Priced at DKK 599 a night (€75) it was a rip-off considering the low standard of the hotel. Here is average price of a hotel room in a selection of 7 Scandinavian cities.